NBA Champion guard Nick Young was arrested in Hollywood during a traffic stop for a violation. The Associated Press reports Young was arrested for delaying an investigation, stating that he did not obey the authorities requests. The charge was registered as a misdemeanor. Young has a court date set for September 19 and was released on $10,000 bail. He was arrested just before midnight on Friday. In a video captured by people on the season, Nick Young is seen being arrested but also asking “Am I resisting?” you can see the video below. 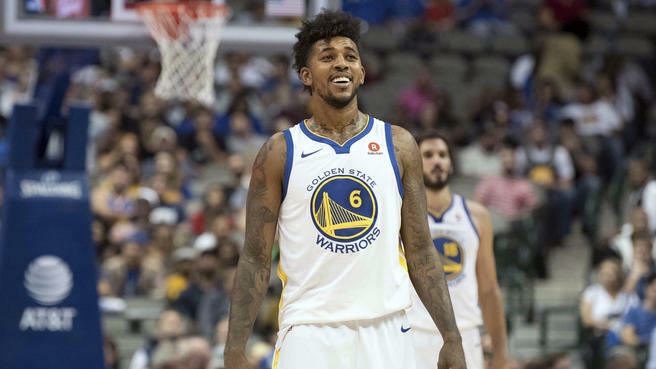 One of the best scenes of the Golden State Warriors latest championship win was guard Nick Young who got the chance to party and celebrate with the fans. Currently, Young is a free agent as the Warriors have not renewed his contract and there have not been rumors of Young and any other teams as of yet.